An emotional support dog is a companion dog that a licensed doctor or mental health expert has prescribed to an individual experiencing an emotional or mental disability with the belief that the animal brings them therapeutic benefits. This may include alleviating at least one symptoms of the disability. According to the National Institute of National Health, 1 in every 4 Americans experience some kind of emotional disability, and animals are known to considerably help minimize the symptoms of those disorders. An emotional support animal, unlike a service animal, offers emotional support for individuals who have been diagnosed with a mental or emotional condition or disability. Even though ESAs are used as part of a medical treatment plan, they are not seen as service animals in the eyes of the federal and local law, and thus do not have access to as many public rights as service animals do. ESAs are distinguished by their close, supportive, and emotional bond with their owner to treat issues related to depression, anxiety, or other psychological disabilities. 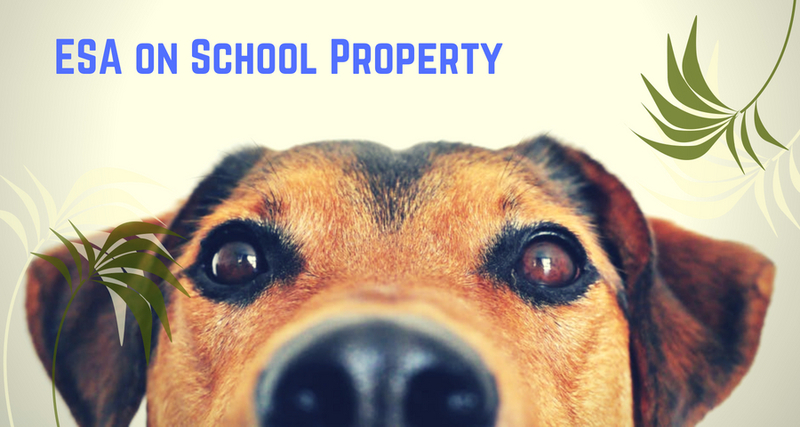 Are ESA Dogs Allowed In Schools? When we look at the prevalence of mental illness among school and college students, it is pretty apparent that America’s mental health crisis extends to the country’s university campuses as well. As per the 2014 National College Health Assessment, more than 14% of students had felt that things were hopeless at some point during the last 12 months, whereas 32.6% had felt depressed at some point in the last 12 months. It is also pretty common that one of the most widespread consequences of mental illness is more common on campuses than people would like to believe, with an approximate of 11,000 students committing suicide each year. 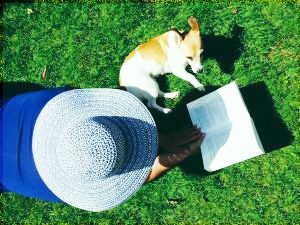 The evidence that emotional support animals can offer the same, or in some instances better, therapeutic benefits as the prescription medication is abundant. This URL (https://therapypet.org/emotional-support-animal-information/) goes into more detail about this. Students can benefit both physically (ESAs increase a person’s activity level) and mentally (by increasing endorphins and improving one’s overall mood. An emotional support dog can offer a non-judgmental platform for an individual to express their feelings and to be also heard in a safe space. Despite all the therapeutic benefits that ESAs are known for, schools and colleges are still not obligated to allow emotional support dogs by the federal law. However, there are many school and colleges that are realizing the importance of emotional support animals and thus allowing them to be part of their students’ lives. However, we are yet to see a time when most academic institutes will allow ESAs on campus. The general benefits of having an emotional support animal on campus combine to create an even more valuable support – a higher confidence level that empowers a student living with emotional and mental disabilities in addition to their normal strains and stresses of college life to enjoy the same quality and opportunities as their fellow students. Even though medications and therapy are good options for battling emotional disabilities, they are not always the best solution since they aren’t so simple and even affordable for some students. Medications allow a lot of people to enjoy the fulfilling lives that may not be possible for them on their own, but of course, different kinds of medication work differently for everyone. Plus, there is the risk of pretty serious side effects and the span of time it can take for some medicine to actually work on an individual’s illness can make them appear to be unappealing in numerous aspects.